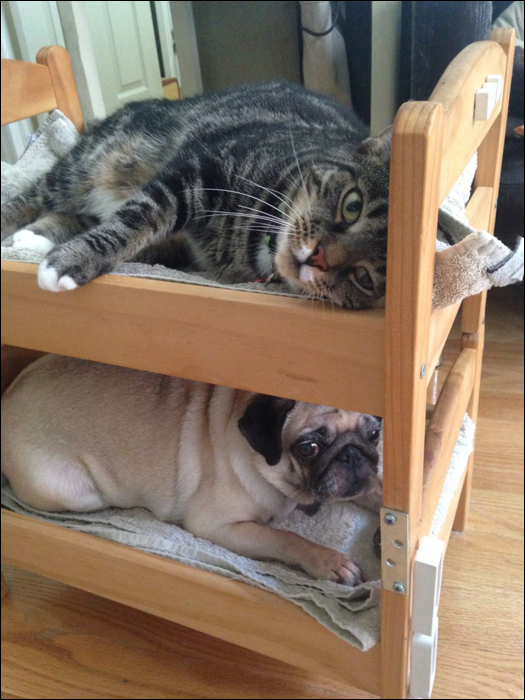 Alright, it's not really a "cat" bed. 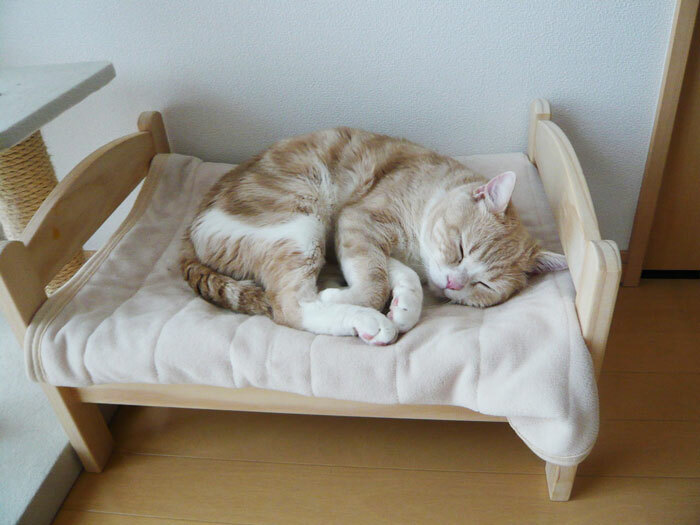 It is actually a doll's bed from Ikea, but it makes a purr-fect lounge for kitty-cats too! 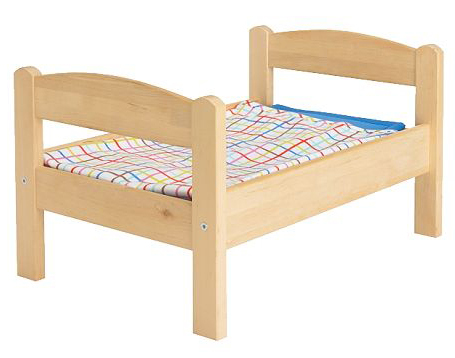 Priced at about $20, the "DUKTIG" is marketed as a toy bed for children’s dolls. It is Ikea article number: 101.016.64. 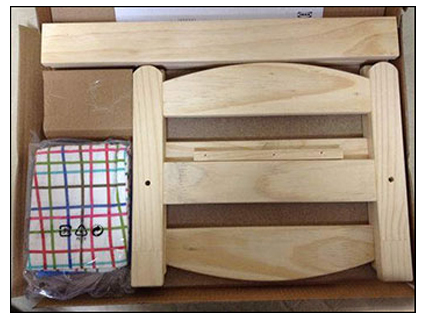 The Duktig doll bed is constructed of solid pine with a fiberboard bottom. It even comes complete with a bedlinen set! As with most Ikea furniture, the doll bed comes flat-packed and requires some assembly—but in this case putting it together is very easy and only takes a few minutes. You don't even need to use any of your own tools. Once you have the bed assembled, you can decide whether to paint it, or leave it "au naturel". 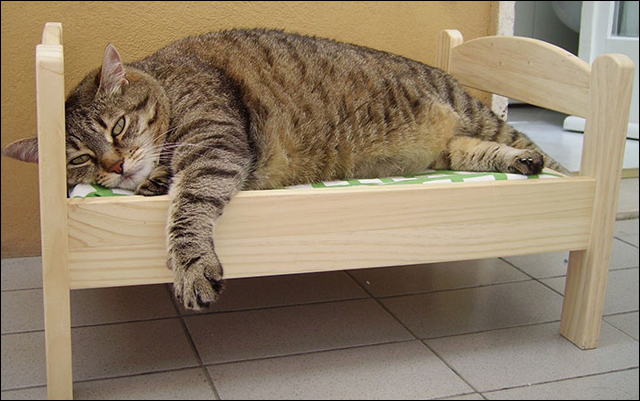 Because you are going to be using it as a cat bed, painting it with a washable, waterproof product is the best choice. This way you can easily scrub it down during cleaning and even use a disinfectant on it if necessary. If you leave the wood unfinished, the light colored pine will darken to a yellower tone over time. 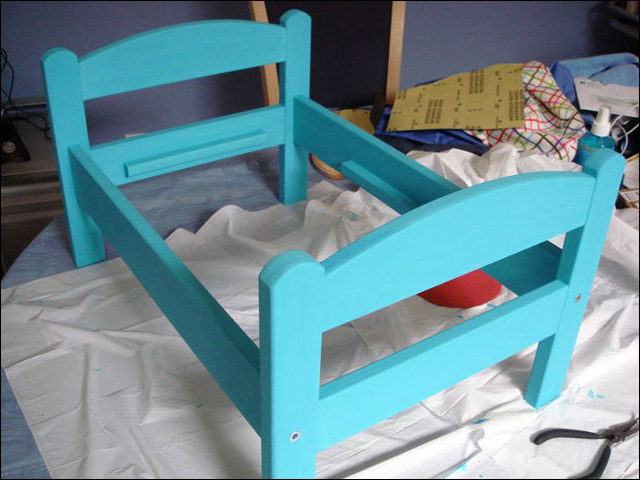 If you decide to paint the bed begin with a light sanding to open the pores of the wood to accept the paint. Then using a brush or spray paint, apply 2 coats. Let it dry for for 2 days. 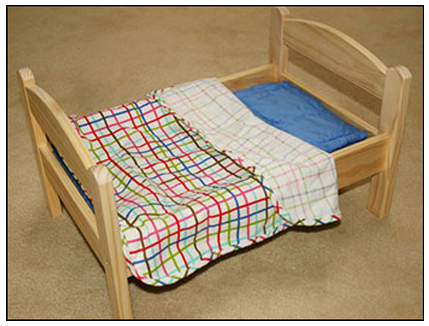 Insert the bottom of the bed and add the mattress cushion and cover. You can use the ones supplied by Ikea but if you are handy with a sewing machine, it is easy to make extra cover or two so you can alternate the bedding to allow for laundering. 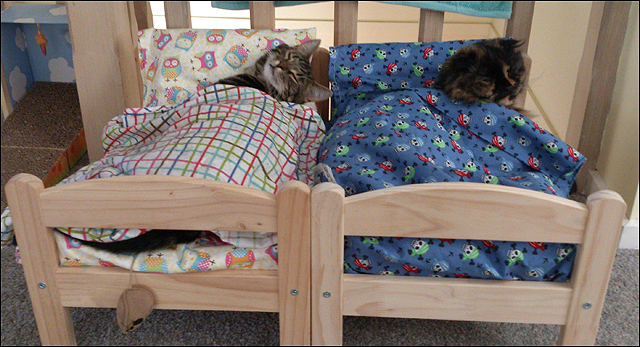 Regardless of the age or size of your kitties, they will enjoy their new bed. A delighted kitten . . .
Or two can snuggle . 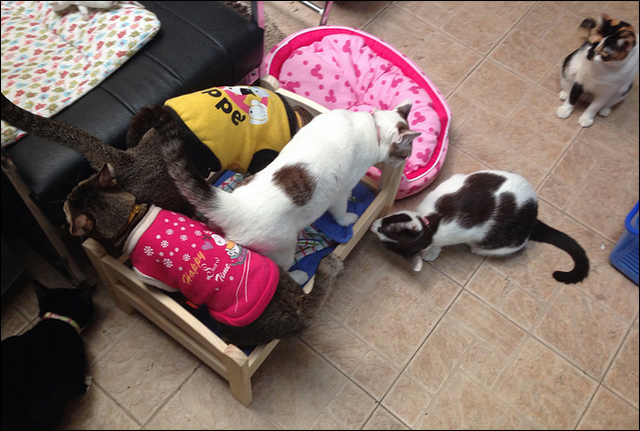 . .
Just like you do not need to limit yourself to just one cat, you do not need to limit yourself to just one Ikea cat bed either. 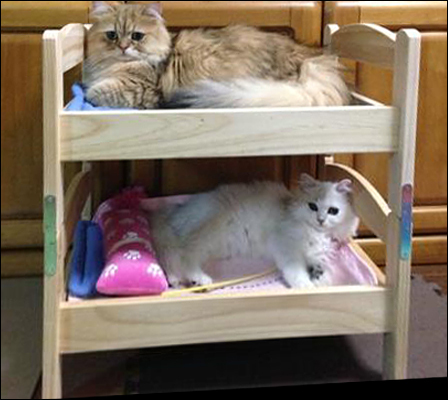 Indeed, the Ikea doll bed is so inexpensive, you can easily afford to have a bed for each of your kitties . 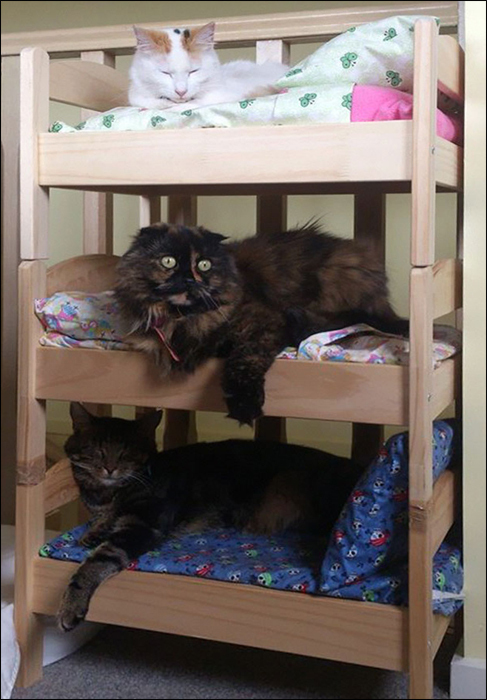 . .
You can even make them into bunk beds—just be sure to add clips to the legs so the beds are firmly attached to one another. to the top of the legs of the bottom bed. Even a triple-decker is possible, just make sure it is stable—in this case by screwing the leg above to the leg below. 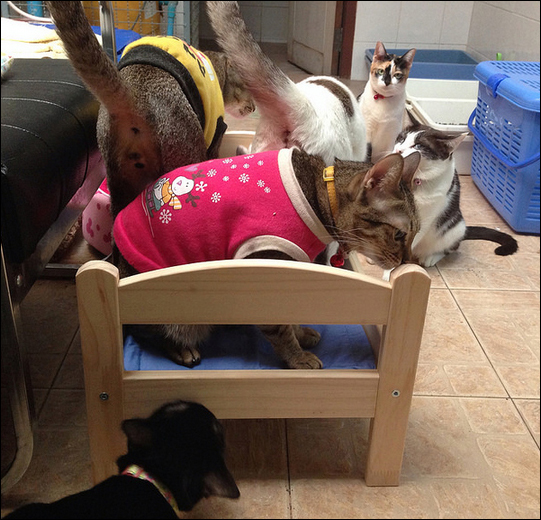 The Ikea bed is a curiosity as all the cats check it out! Move over! This is mine! 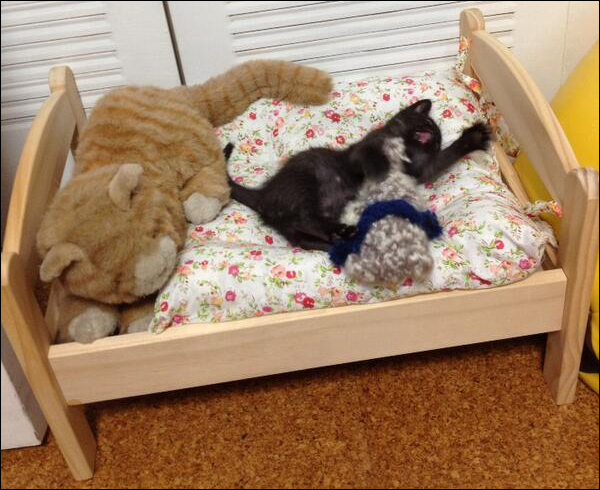 If you have other pets, they too may enjoy a nap in the Ikea bed . 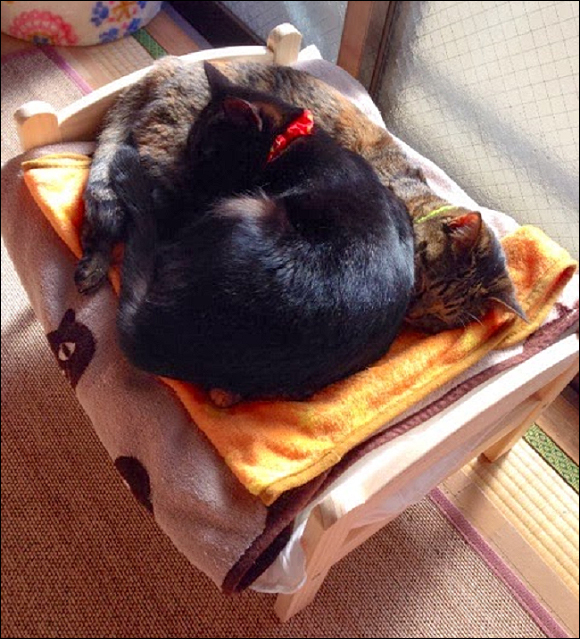 . .
Of course, the cat is on top! 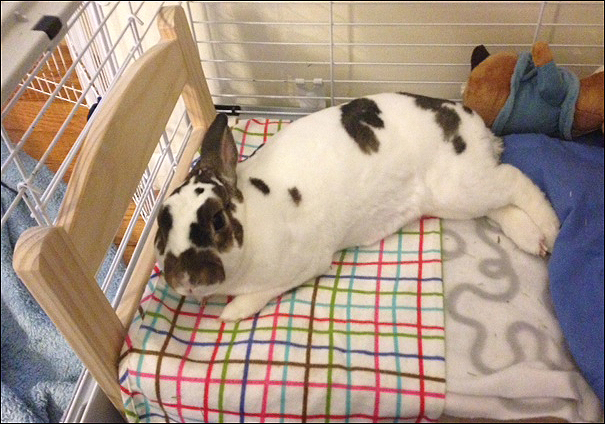 Who knew bunnies liked a bed? As you can see, for $20 you can provide your cat with a special place to call its own. Visit your nearest Ikea soon!